It has been very interesting to watch recent developments in the Roman Catholic church, where the question “To whom does Christianity belong?” is clearly an immediate and painful one. The report at the following link about the Synod now taking place in Rome on issues related to the family is just one among many that demonstrate the conversations and the contests going on. Clearly, a big change is happening – the priesthood of all believers is becoming more and more an important factor. The laity can no longer be cowed – they too can read the Bible, theology books, attend lectures, and join the conversations and debates about Christian issues. Still more, many laity are leading the way in missions. 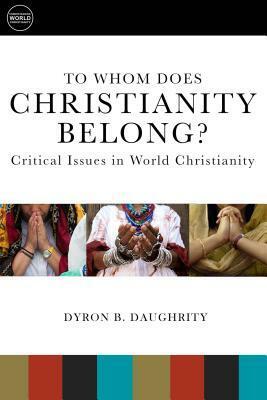 In short, Christianity does not belong to “us”, whichever “us” we happen to be part of. Will we be agents of Jesus the King, sharing God’s Shalom in the power of the Spirit outside all the boundaries? This book, reporting on the situation around the world, has a huge challenge hidden inside.